Disney released another look at the upcoming live-action Aladdin Sunday night. 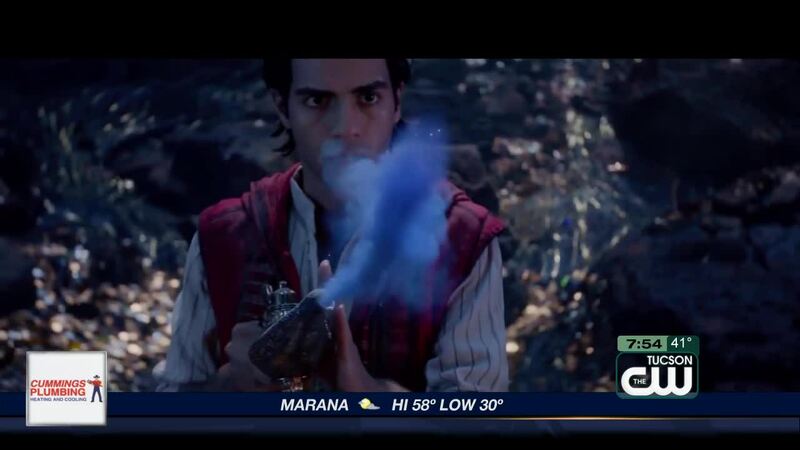 TUCSON, Ariz. — Disney released another look at the upcoming live-action Aladdin during the Grammy's Sunday night. The trailer gives audiences a first look at the Genie, played by Will Smith. The film is described as a retelling of the 1992 Disney animated film. Aladdin is directed by Guy Ritchie, and also stars Billy Magnussen, Naomi Scott, and Mena Massoud. Aladdin opens in theaters May 24.